Thomas Duke Routzong is a rarity in Florida – he was born right here in Brevard County where he still resides! Tom’s parents, Harry and Ethel (Duke) Routzong owned thirty acres just west of Cocoa. Tom’s middle name, Duke, was given in honor of his mother’s family who founded Duke University. Doris Duke, a fifth cousin, was once the wealthiest woman in the world and has been portrayed in movies by Lauren Bacall and Susan Sarandon. Tom’s father was a local builder who did the stone work on many homes and buildings including the historic Porcher House in Cocoa Village which is now a tourist destination listed on the National Register of Historic Places. Tom’s grandmother ran a boarding house for local Navy sailors in downtown Cocoa Village. After graduating from high school, Tom worked at Winn Dixie and then used his extensive knowledge of local flora and fauna to open a nursery. Just a month before his wedding to Paula Napier, the daughter of a chiropractor, Tom was offered the chance to work at Kennedy Space Center on the Apollo 11 program at the height of the exciting space race. After the Apollo 11 landed a man on the moon, Tom earned a Bachelor’s degree in education from Rollins College and a Master’s degree from Nova University. Tom and Paula accepted teaching positions at Brevard County schools. He educated Florida children for thirty years. Tom and Paula had two children, Whitney and Chad, during their marriage. Tom was diagnosed with cancer in 1996 and given only a thirty percent chance of survival. His wife lost her battle with cancer soon after. Thomas survived due to a radical surgery and treatment and vowed not to waste even a minute of the rest his life. He officially retired from teaching and began public speaking, traveling the world and photographing its beauty, and writing. In addition to teaching in Brevard Schools for 30 years, Tom has served on the Habitat For Humanity board of directors and was the only Floridian chosen to help build ten homes in five days in Nashville in 2006. In addition to being the author or coauthor of seven books, Steven has been a columnist and photographer for nine newspapers, a staff writer for a national news service, a civil rights writer, a theater critic for a major magazine, and a travel writer for multiple publications. As a singer / songwriter, his songs have received national radio airplay and won a radio station battle of the bands. He had three songs in the Top Ten of NCMN at the same time. His song "Thank you God for making Moms" has been viewed over 120,000 times on YouTube and is available for download on Amazon, Spotify and other sites. Steven was born in Ohio and relocated to Florida in 1999. He can trace his maternal family back to the early 1700's before the American Revolution. His great, great, great, great, great, great, great grandfather Samuel McWilliams fought for American independence in the Revolutionary War 3rd Batt, Lancaster Co. Militia, PA.
Steven's mother Sherill, sister Sherry and sister Susie all passed away in their early to mid 40's. At age 43, Steven was exposed to toxic mold in his office on staff at a large church. After 14 consecutive days in the hospital, Steven survived but was left with permanent disabilities. “Unlike normal websites which feature blogs, blurbs and user-reviews, we offer professionally written feature articles and photography for free!” Tom said. Tom and Steven sell scenic photography they have shot around the world. 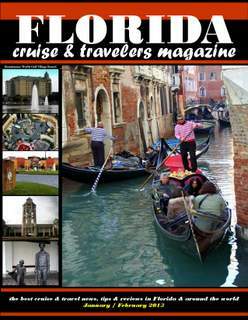 It is displayed in homes and businesses from Florida to Romania. Their photography is in many local homes and doctor’s offices and over a dozen of their peaceful local scenes have been purchased to provide "healing art" in hospitals. 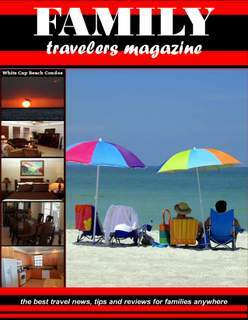 You can see more about Tom’s books, magazines and photography at www.SunnyHarborPublishing.org. Tom and Steven Skelley formed a writing partnership in 2006 and Steven joined Tom in Heritage Isle. Tom and Steven began work on their first book, Positive Reflections: Inspiring Thoughts & Photographs From Around The World. “Working on this project gave me time to reflect,” Tom said. “I know that the way I approached my life-challenges is the reason I am able to see the world and enjoy life to its’ fullest.” The book features beautiful photos from around the world taken by Steven and Thomas along with insightful tourist descriptions by Thomas. Each photo is paired with a thought-provoking quote from a famous historical figure and an inspiring, encouraging motivational confession from Steven that you can use to positively focus your day. Tom and Steven’s second book is titled the best of HOMETOWN HEROES florida - ten chapters of uplifting and heartwarming stories about people of all ages and backgrounds who are changing their communities, their state, and the world through their unique personalities and their desire to help others. Their third book is titled Every Day Is Mothers Day - 100+ pages of thoughts, stories and photographs that celebrate the special relationship between moms and their children. 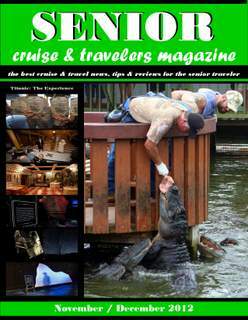 Their fourth book is titled 199 Tips For Your First Cruise. Tom has enjoyed more than 300 days on cruise ships all over the world. Steven has enjoyed more than 150 days aboard cruise ships. 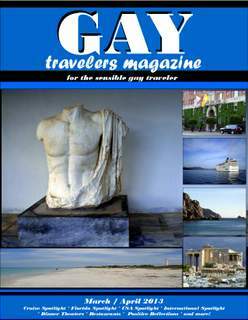 Their goal in this ebook is "to help make your first cruise become one of the best vacations you've ever had."